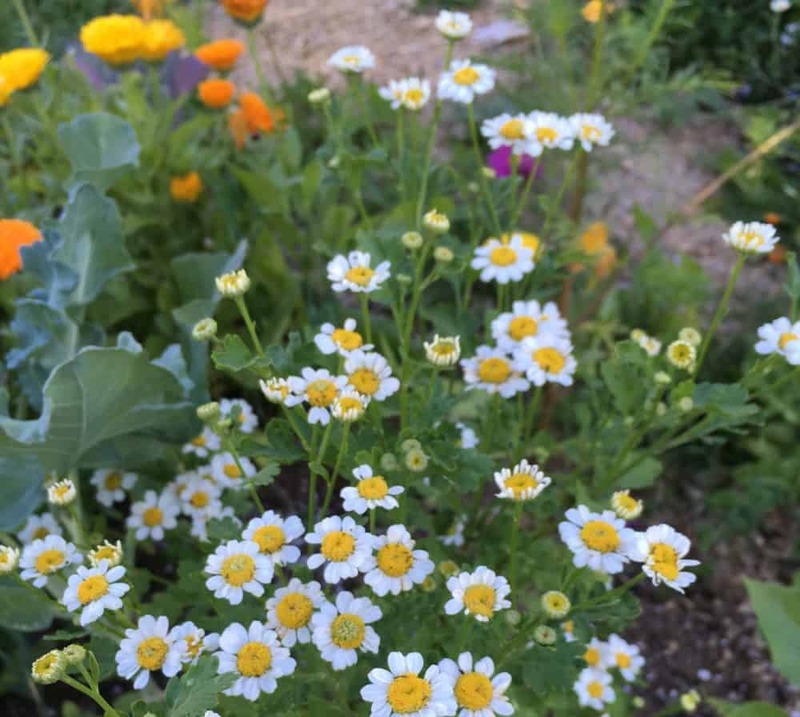 In fact, there are certain herbs that bolt if the weather gets too hot and prefer cooler weather. 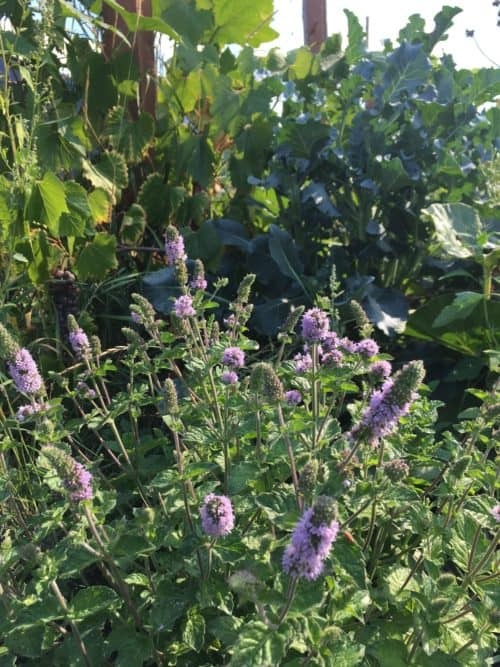 Some of these herbs are for culinary uses in your kitchen, other are medicinal herbs. 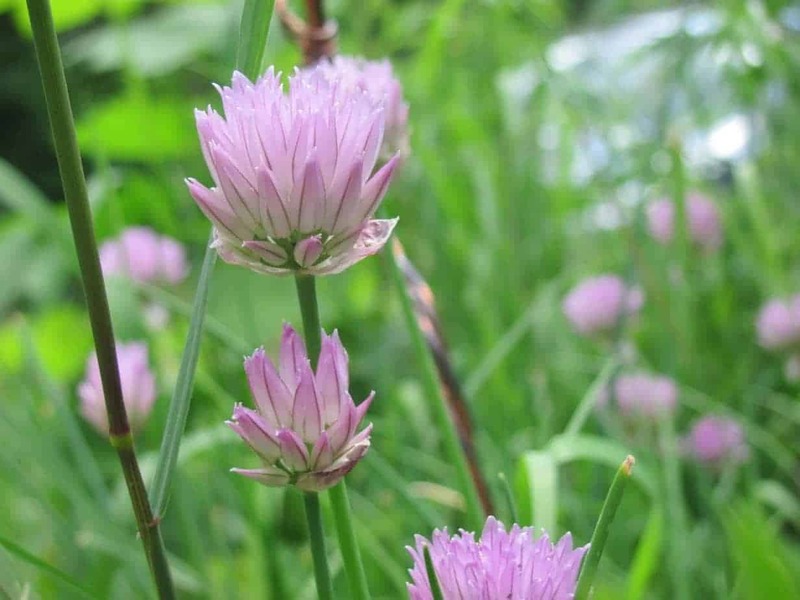 Growing herbs in a shady spot close to your kitchen is perfect for fresh handfuls of herbs. 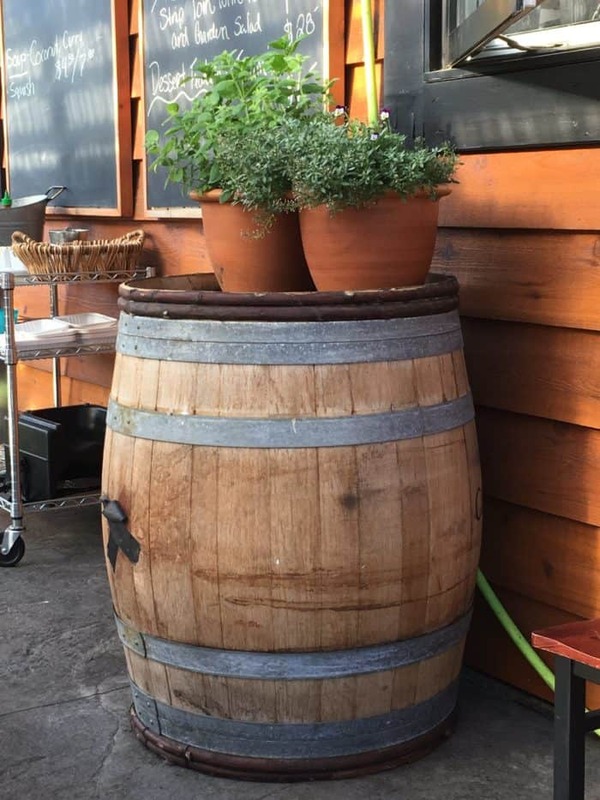 Herbs can be grown in pots and containers, or in the ground. 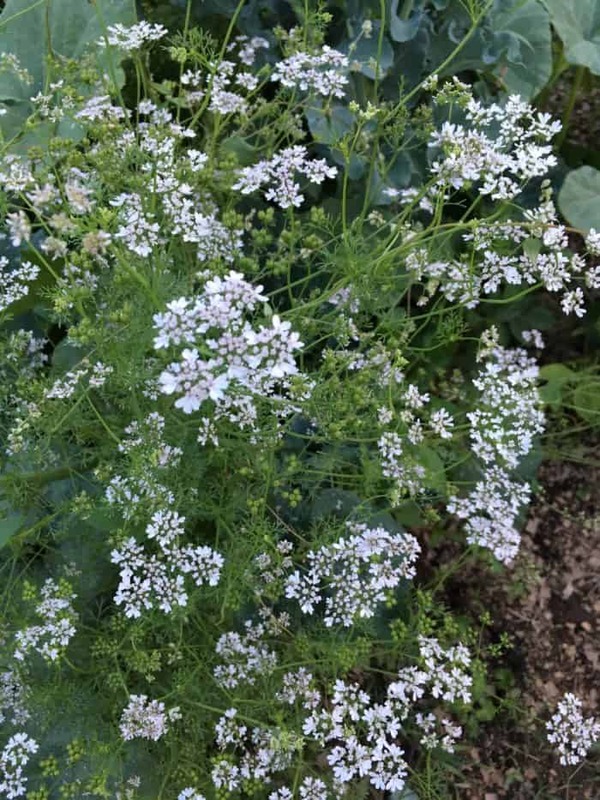 Below is flowering cilantro which also helps to attract beneficial bugs. 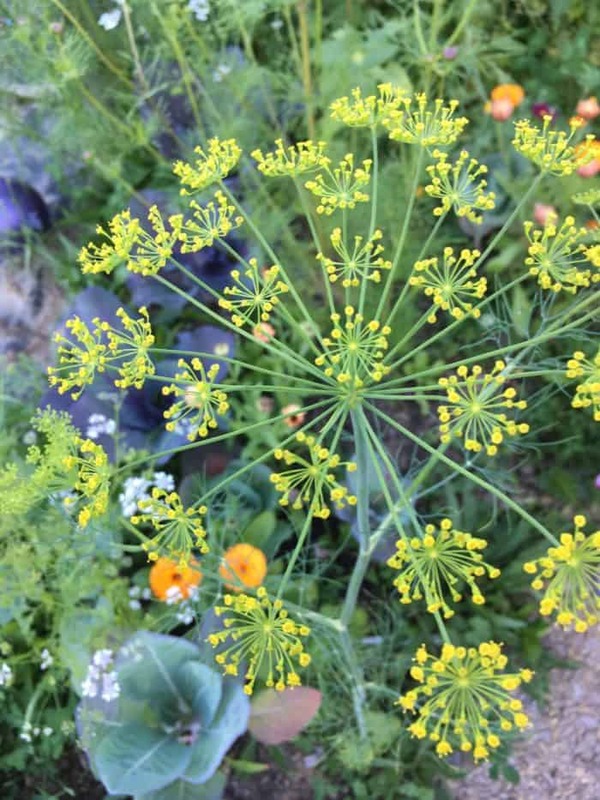 You can also save the seeds as coriander spice once they’ve dried. 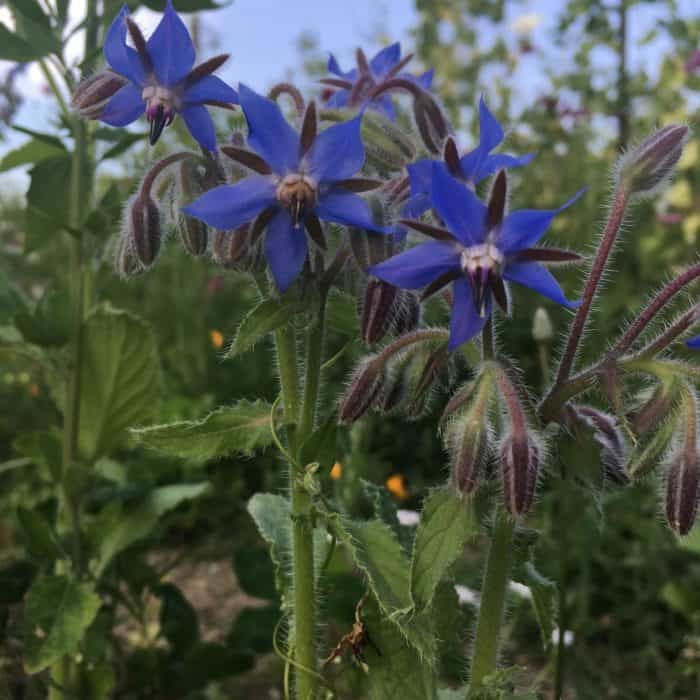 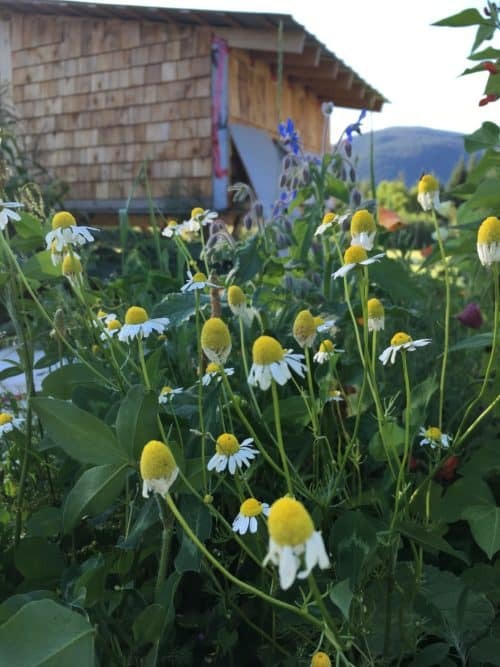 These flowers are an edible herb flower that taste like cucumber (see recipes). 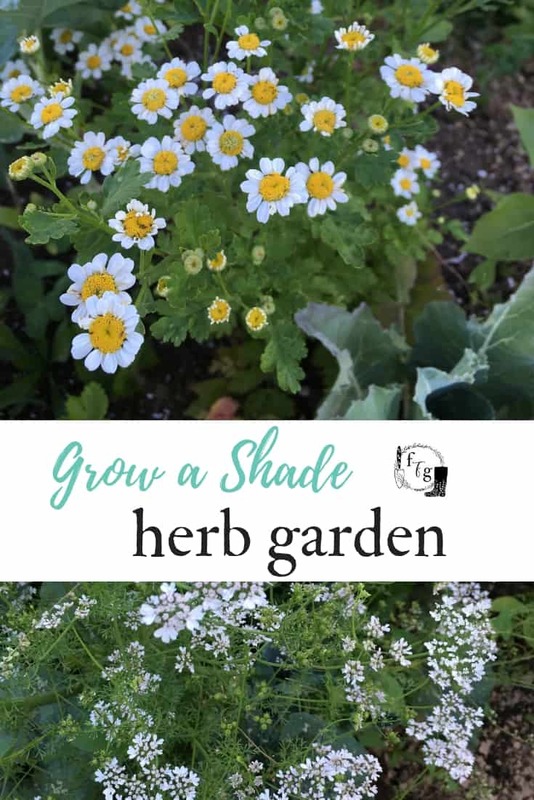 Have you grown herbs that grow in shade before?